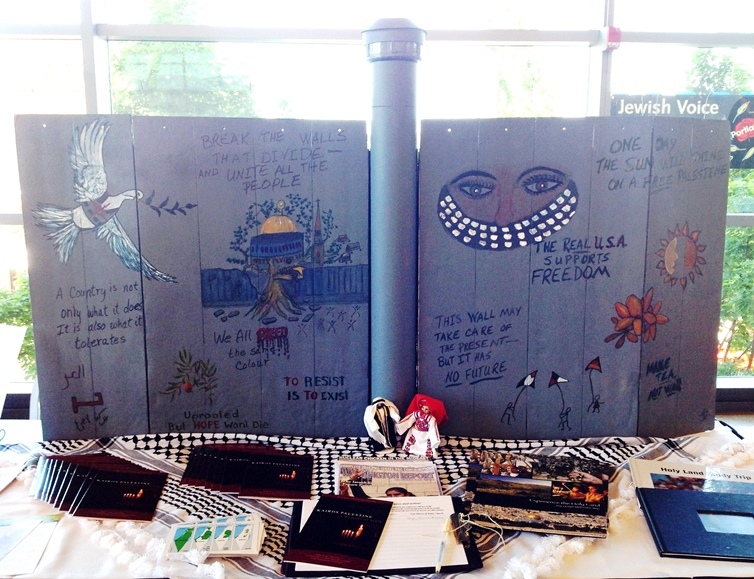 Plans are underway in multiple settings for public observances and worship services with the West Bank Separation Wall as the focus. Tearing down this wall is consistent with our Christian promise of reconciliation. It is the work of the worldwide church. I offered a number of planning resources groups might be able to use in my last post. 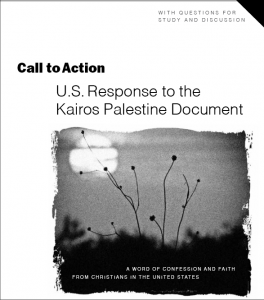 — including these World Week for Peace resources and The Wall Will Fall liturgy. And, as promised, I’m passing along below some additional examples of simple wall displays that could be used with indoor or outdoor gatherings during the Week for Peace. Another idea I want to suggest is to invite Palestinians to speak, or reach out to those who may have witnessed/experienced the brutal and destructive impact of the Separation Wall. God has broken down the walls that divide us. Yet our work remains for the divided and occupied people of Palestine Israel. Here’s a simple poster board model of the Separation Wall to which you can add messages. 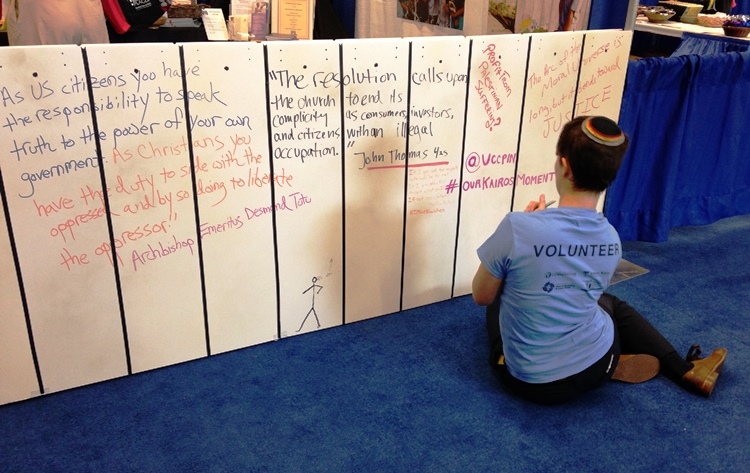 A Separation Wall table-top display created for the United Methodist Church annual gathering of the Washington/Idaho Conference. 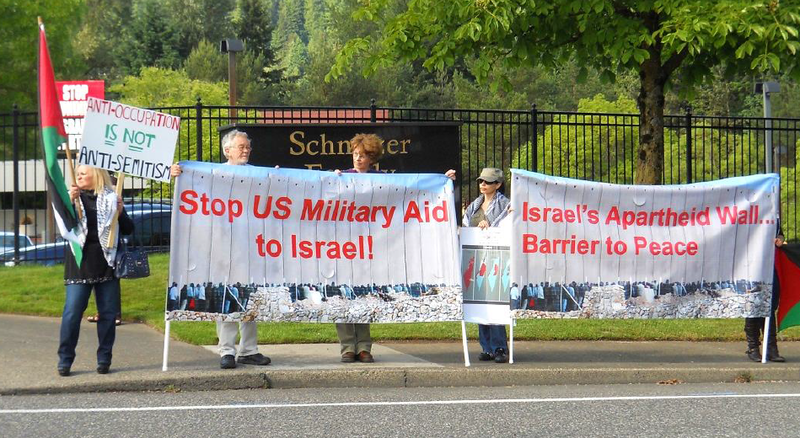 A Portland, Oregon-based group arranges large banners along a street that depict the Separation Wall and carry strong messages. More Separation Wall signage from the Portland-based group.